2019 CADILLAC CTS "LUXURY" SEDAN * 3.6L V6 * AUTOMATIC * NAVIGATION * PANORAMIC SUNROOF * CADILLAC CUE SYSTEM * BOSE SOUND SYSTEM * REAR VIEW CAMERA * COLLISION DETECTION * LANE DEPARTURE SYSTEM * LEATHER INTERIOR * POWER WINDOWS * POWER LOCKS * POWER MIRRORS * POWER LOCKS * POWER SEATS * HEATED & COOLED SEATS * MEMORY SEATS * KEYLESS START * KEYLESS ENTRY * LOADED WITH OPTIONS * 1 OWNER * NON-SMOKER OWNED * ABSOLUTELY LIKE NEW INSIDE AND OUT!! SAVE THOUSANDS OVER A NEW ONE!! 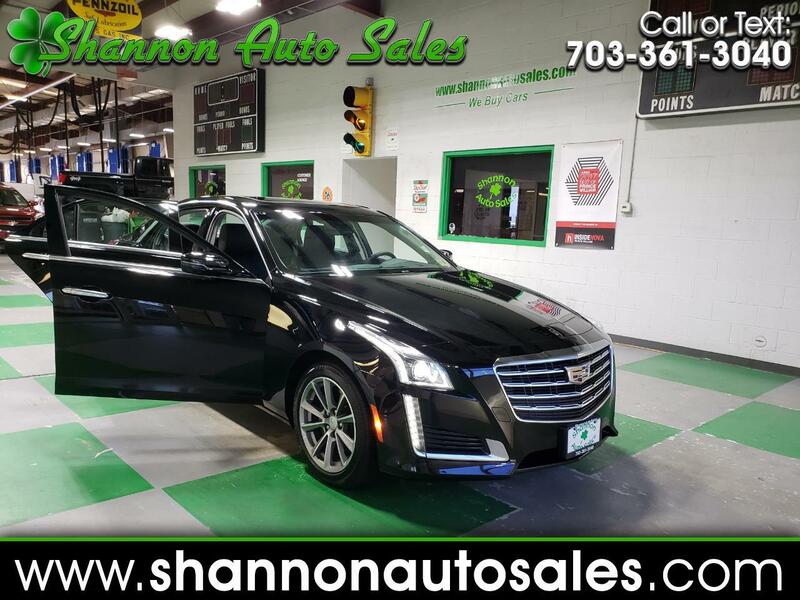 Visit Shannon Auto Sales online at www.shannonautosales.com to see more pictures of this vehicle or call us at 703-361-3040 today to schedule your test drive. Message: Thought you might be interested in this 2019 Cadillac CTS.